2018 Registration Winter Camp Info My Account Activity Brochure Come to Winter Camp for Free! 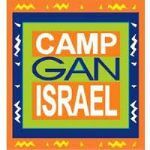 Camp Calendar Winter Pictures 2017 Winter Camp Week One 2016! Winter Camp Pictures Week Two 2016! Winter Camp Pictures Week One 2015! Winter Camp Pictures Week Two 2015!